On the 8th of April, for the first time, a team from Q8 Research participated in the Rotterdam Marathon. 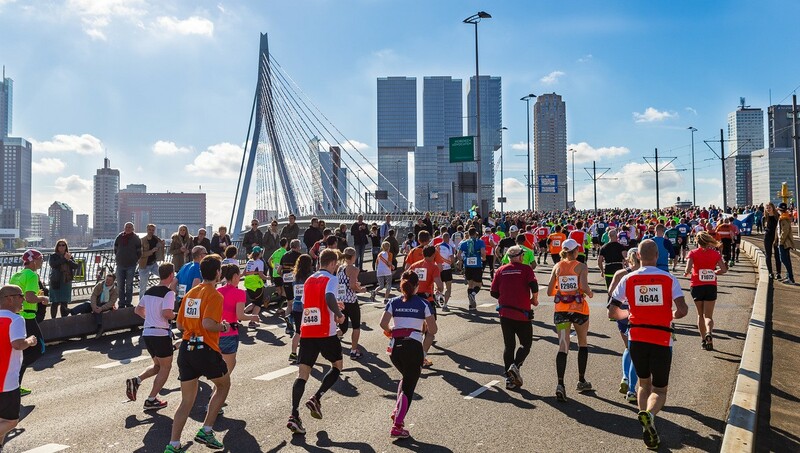 On the day of the Marathon, a thrilling atmosphere and a sizzling heat was all over the city of Rotterdam. Over 30.000 participants finished on the Coolsingel with the support of thousands of fans and singing crowds all along the way.